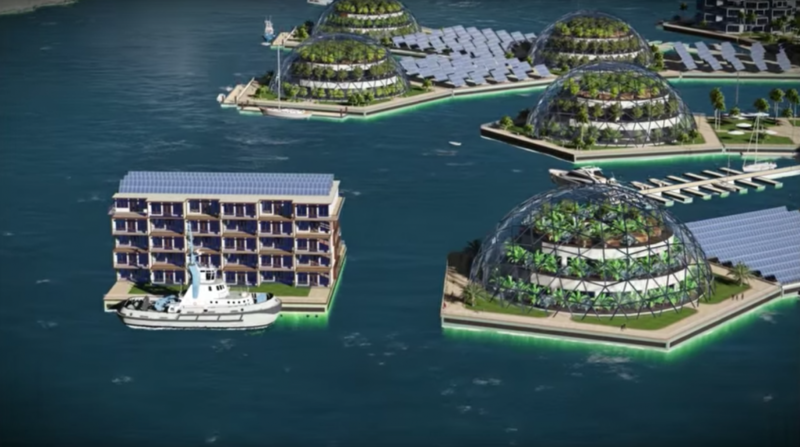 Soon, you could be living in one of these futuristic cities. 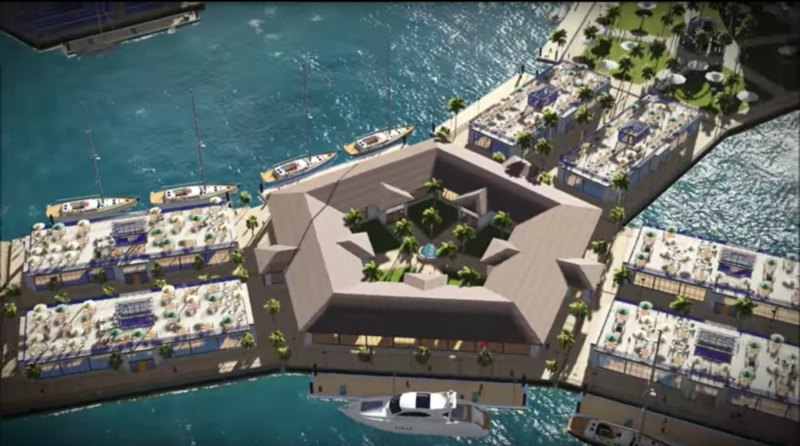 When you imagine what the cities of the future will look like, it’s hard to think that we can do more than what some nations have already achieved. For instance, Dubai, Japan, and Singapore feature some of the world’s most impressive modern architectural marvels; Helsinki is pioneering a future in data transparency; Brazil is setting the standard for efficient and sustainable mass transportation and eco-consciousness; and Korea is defining an urban landscape anchored on digital connectivity. 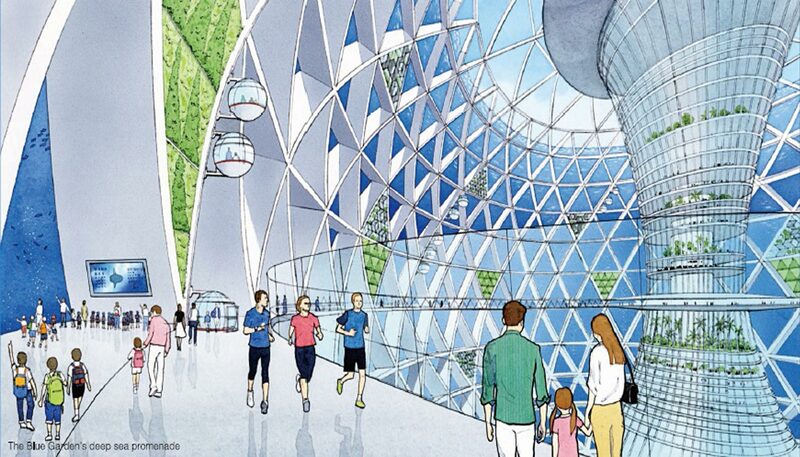 But architects and urban planners are letting their imaginations run wild — after all, where else can we go but toward our most outlandish, exciting, and sometimes even dystopian imaginings of the future? While not strictly a city concept, overpopulation and the continuous decline of our environment are prompting futurists to explore the possibility of converting Mars’ barren, currently uninhabitable landscape into one that humans could live on. Last year, NASA accepted more than 165 applications for a Mars habitat designed to protect humans from the harsh elements of the Red Planet. 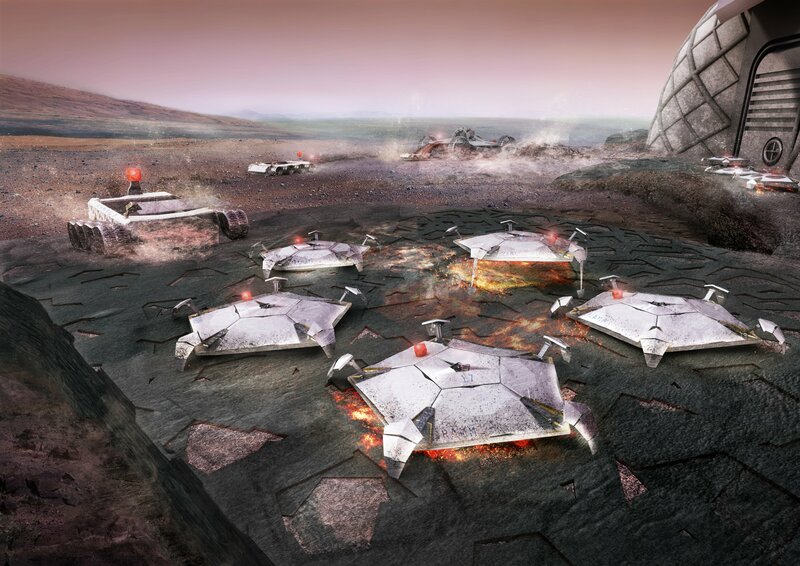 In one example, Team LavaHive proposed a habitat using recycled spacecraft materials and “lava-casting,” allowing structures to exist above and below the Martian surface, with the capacity to add additional subterranean modules. Meanwhile, Team Gamma required pre-programmed, semi-autonomous robots to construct its habitats prior to the arrival of human astronauts. “The design of the compact 93 sqm habitat modules combines spatial efficiency with human physiology and psychology, with overlapping private and communal spaces, finished with ‘soft’ materials and enhanced virtual environments, which help reduce the adverse effects of monotony, while creating positive living environment for the astronauts,” they explain in their application. 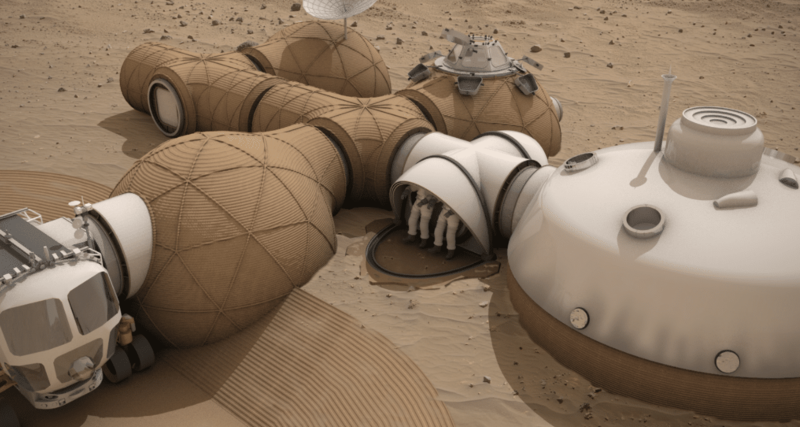 The proposal for Team Mars Ice House, which won the competition, features a large, inflatable dome surrounded by a layer of 3D-printed ice and a thin layer of loose regolith. The design is capable of protecting human life against cosmic and solar radiation. The exercise was primarily a way to crowdsource creative and innovative ideas that will support human survival for impending manned missions, but the prospect of creating off-world human colonies isn’t terribly far-fetched. While NASA is working hard to figure out how we can ensure human survival by flying to another planet, another group is looking to go under the sea. 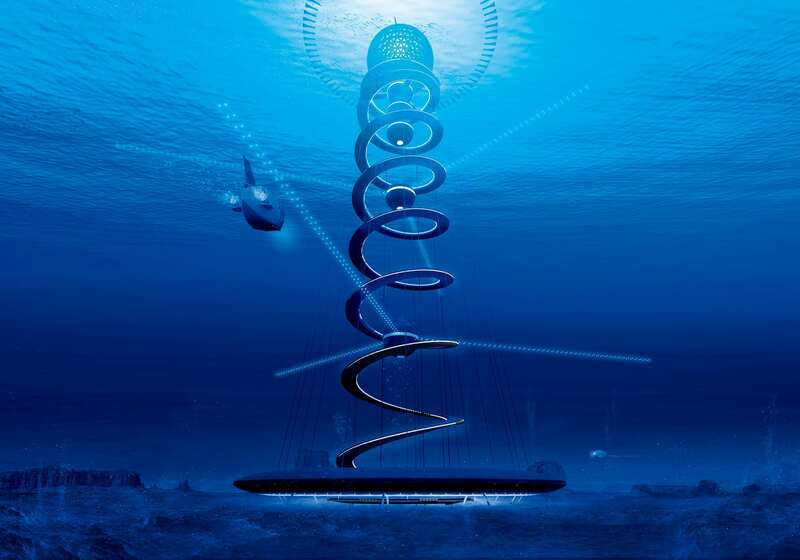 Dubbed the Ocean Spiral, the structure is a massive undertaking that, according to the company, would cost around $26 billion to construct. 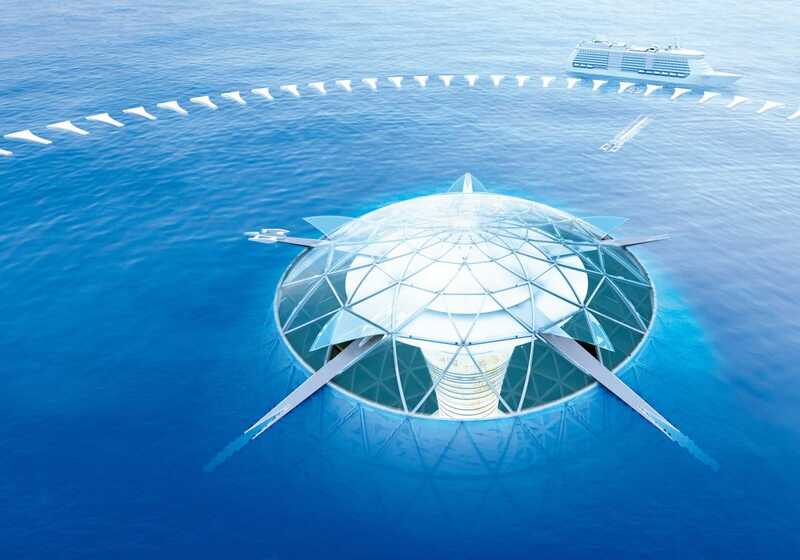 A floating sphere around 500 meters just below the surface of the sea would house the business, residential, and commercial zones. This massive pod would be connected to the ocean floor by a spiral structure 15 km (9.3 mile) long, and scientists would be tasked with finding ways of mining energy sources from the seabed. OAS1S envisions a future in which you could enjoy the lush greenery of the forest without ever having to leave the city. Their architecture basically reinvents the traditional concrete skyscraper into one that features wood and leaves that would allow it to gather sunlight, collect water, and provide oxygen. The firm uses recycled wood, high-value organic insulation, green walls, and triple glazing in the design for their off-grid, self-sufficient homes. 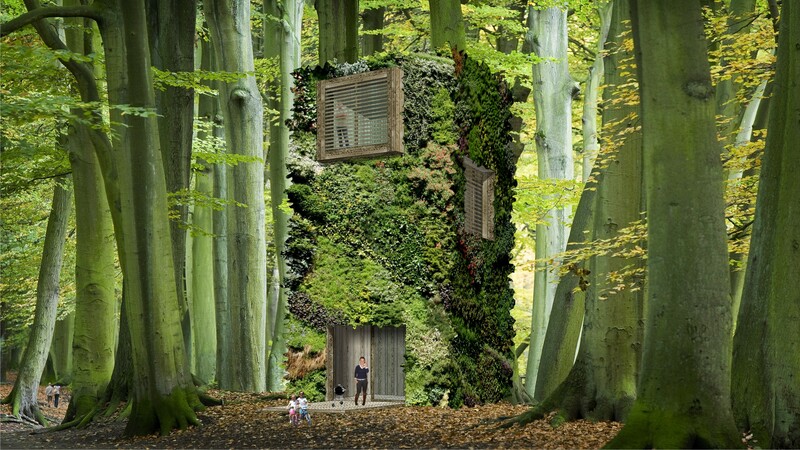 Pilot projects include eco-resorts in Ontario, Canada, across which they can bring these treescrapers to life.